Marseille striker Mario Balotelli said that a move back to Italy did not appeal to him at this point in his career, but revealed he has the desire to play for hometown club Brescia one day. The 28-year-old brought his two-and-a-half year spell at Nice to an end when he joined Marseille on a free transfer in January and he has so far scored one goal in two Ligue 1 appearances for Rudi Garcia's struggling side. 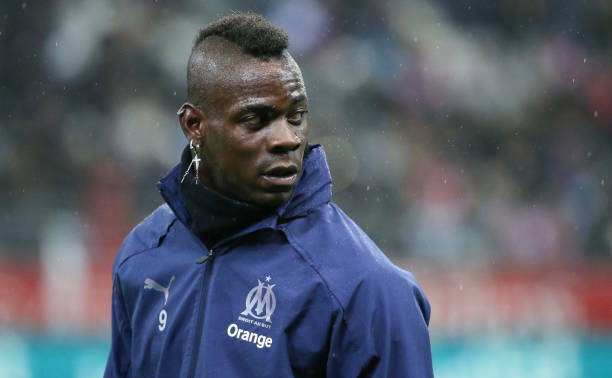 Balotelli's switch to the Stade Velodrome means he has now played for six top-flight clubs across the course of his career, including Inter, Manchester City, AC Milan and Liverpool. Interviewed on the Italian television show, Queli che il Calcio, Balotelli revealed the possibility of returning to his home country one day and he also express his desire to eventually feature for Brescia, who are currently flying high in Serie B. "I never really thought about going back to [Italy] in these months," said Italy international Balotelli, who was born in Palermo but grew up in Brescia. "But I do not deny that I would like to close my career at Brescia."